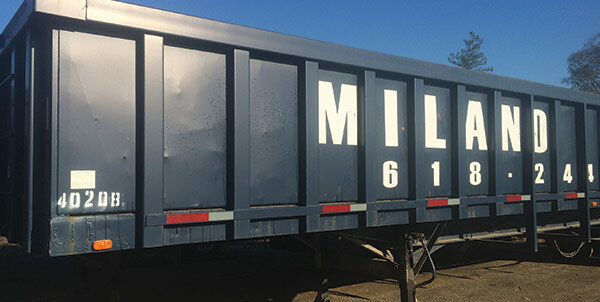 If you have scrap metal to sell, Milano Metals will prepare a scrap collection solution that fits your specific requirements. We deliver containers for scrap collection to your jobsite or facility. We accommodate all sizes of pickups, and provide on-going or one-time service. Our experienced dispatchers will ensure that our drivers are at your location when you need them. Click here to email our dispatcher and schedule a pickup. We buy both FERROUS and NON-FERROUS scrap materials, including: Cast Iron, Sheet Steel, Aluminum, Brass, Copper, Stainless Steel and more. Private rail yard served directly by 3 railroads (NS, UP & EVWR), with nearby connections to an additional 3 railroads (BNSF, CN & CSX).